Colours and Fashion: How much do we know about them? 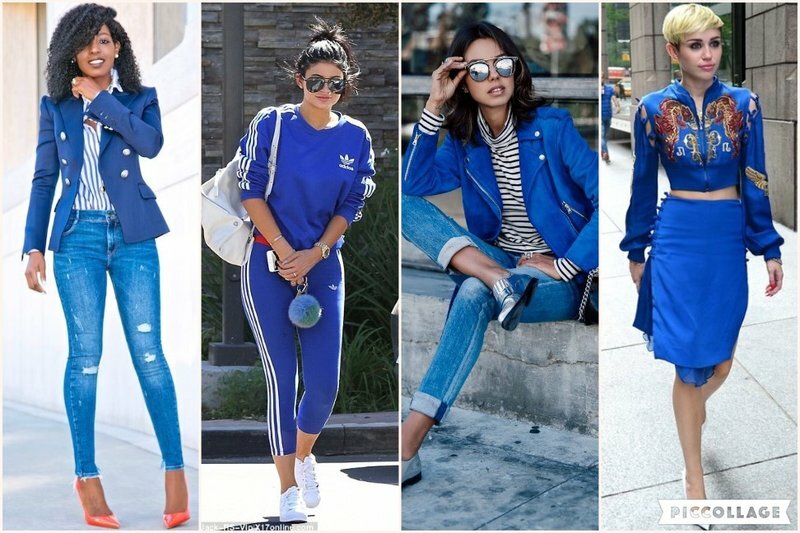 Although, we are all aware of the importance of wearing the right colours and matching them harmoniously when creating an outfit, many of us don’t know much on how to do it. In this blog post I will show you an easy shortcut on how to match colours the right way and also the how, when, where and why to use certain colours. A few basic rules that will help you avoid massive faux pas with colours. The Circle of Itten, aka the Colour Wheel, takes its name from the Swiss expressionist painter Johannes Itten, who was one of the first people to identify strategies for successful colour combinations. The wheel was created to understand how to mix primary colours in order to achieve secondary and tertiary colours, and use this understanding in different fields, including fashion. 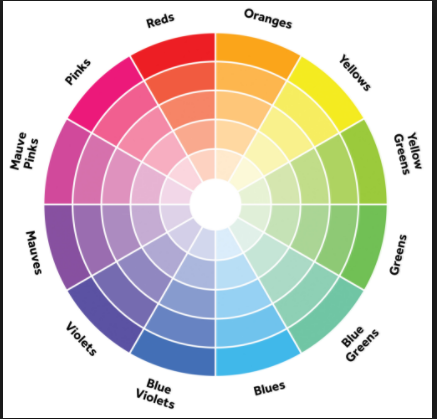 Here is a picture of a basic Colour Wheel. The colours on the wheel are divided between Warm and Cold colours, depending on the amount of blue and red they contain. On this colour wheel you can also find the Primary colours; which are blue, red and yellow, the Secondary colours; which are orange, green and purple and which created from different combinations of the Primary colours, and the Tertiary colours, emerging from a mixture of the other two. Blue conveys security, strength and sometimes dominance. It is the colour of royalty and ideal for exercising authority. Dressing in blue will help the wearer to be treated respectfully by others. It is a colour of distinction, honour and justice. It can be a good colour to wear in situations when you want to communicate something important and be heard. As colour of elegance, it is can be worn any time during day and/or night. In the past, it was not a popular colour, especially in the West, as it was considered a matte and poor alternative to the colour Gold. It’s a cheerful colour often associated with Summer but also with jealousy. 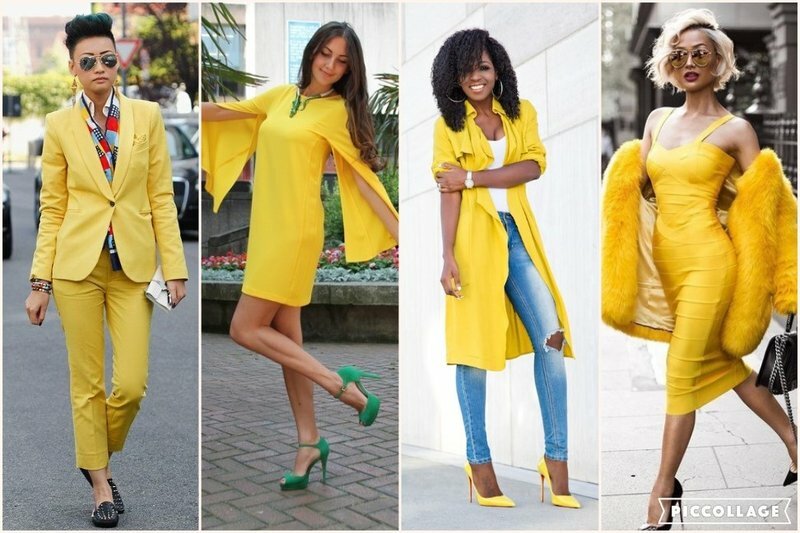 Those who dress in strong yellow communicate that positive, important things are happening in their lives! This colour represents optimistic perspectives and psychological freedom. It’s perfect worn in combination with darker or softer colours, and can be helpful to wear when you’re concentrating on a new idea or project. 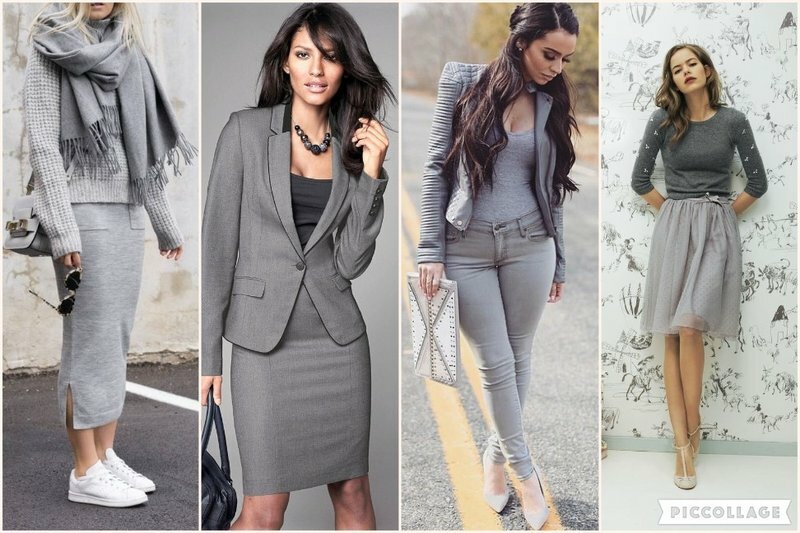 Grey is a discreet and dignified colour but also can symbolise success, stability, inspiration and creativity. It leaves all other colours to their own merits without influencing them, which makes it very easy to mix and match with a plethora of colours. It expresses elegance, respect and grief in the past or old age. 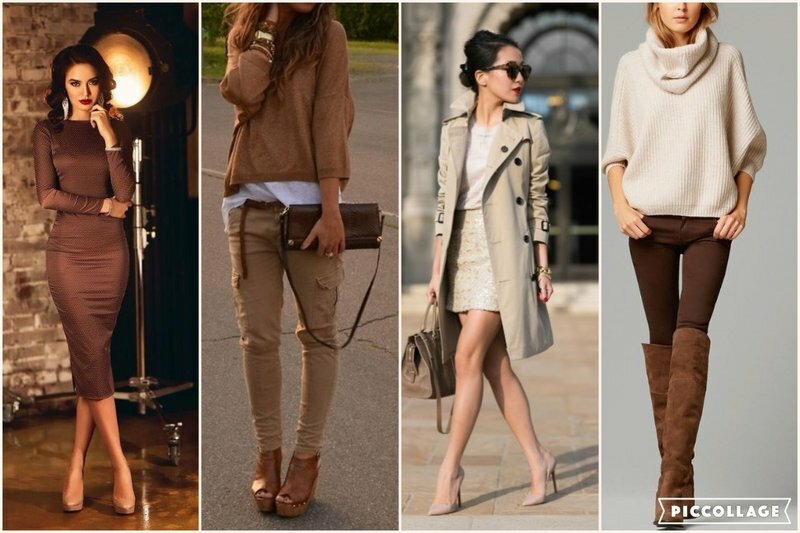 Earth colours, coffee, browns and skin toned colours are usually worn when the person you want to connect with is yourself. You’re self-focused and don’t want to annoy or attract attention from others. It signifies a need to balance the energy of the physical body, to connect with the earth, the more material and tangible. A person who wears coffee colours is usually focused on work, possibly going through economic difficulty or in material need. Red is a high energy colour. Dressing in red on the upper body conveys a sense of being daring, bold, willing to be adventurous and have stimulating experiences. 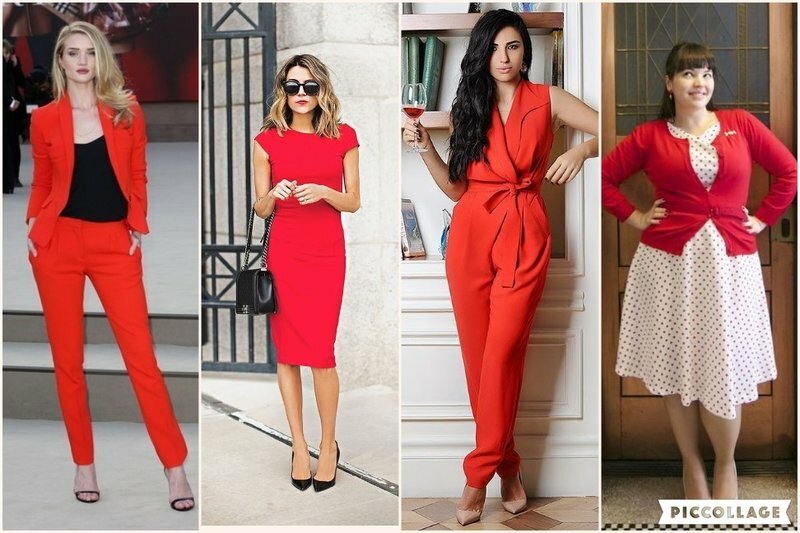 A lively red can give out a warning – the wearer may be unpredictable or be very sure what they want and be impulsive without much forethought. Dark red transmits a feeling of strength and personal power. In the past, red was the chosen colour for brides on their wedding day, with the military and religious orders still using it in their attires as a synonym of power. Wear it with dark colours, white and black, for a stand-out look. Today this colour symbolises hope, cleanliness and nature as well as transmitting a relaxed and chilled mood; while in the past it was the colour associated with anguish. Dark green speaks of a person of refined tastes, reserved and quiet. Wearing bright or light green on the upper body may mean the wearer is going through a healing process when there is the need for rest and time out, especially if there has recently been a relationship break up. In this case, green can also signify that the wearer is not ready to start a new one. 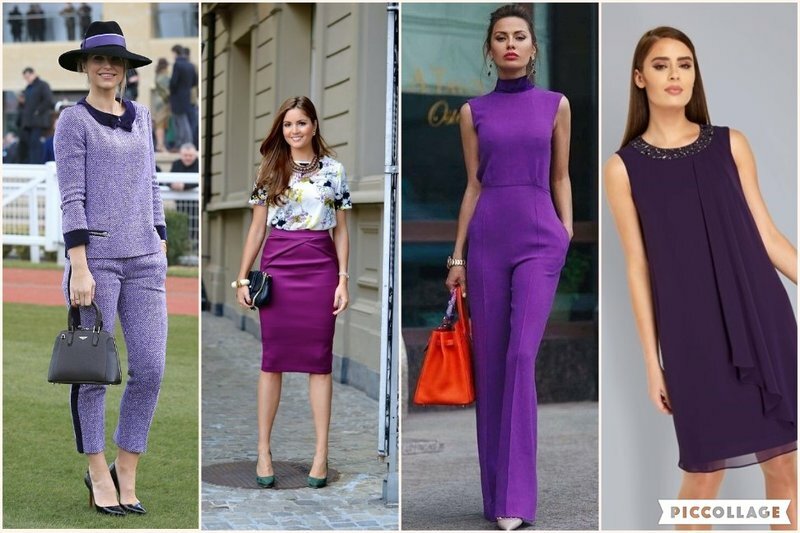 Violet represents altruism, a view of life guided by the mystical or religious, especially in deeper, purple tones. It is also an asexual colour, preferred by the elderly, children, pregnant women and those who practice chastity. It represents disconnection from the material and is not advisable for people who suffer from depression as it can cause feelings of isolation and an overactive imagination. BLACK AND WHITE TO BE "LIKE OTHERS"
In the past, both colours used to be considered “colourless”, until they discovered that white actually contains all the colours of the electromagnetic spectrum as well as reflecting all of them towards the human eye which perceives them accordingly. Those who dress in white are open to surrounding energy and the colour itself communicates a feeling of purity and cleanliness. As it has an enlarging effect, it can expand a figure so many people avoid it. As it signifies purity, it can build trust and approachability. Black represents the night, the mysterious, that which is hidden. It’s not a colour in itself, it absorbs all colours. It represents the absence of light. Dressing in black may indicate that the wearer may not want to connect with others, may feel alone or is unable to communicate. It has a reducing effect, so is chosen by people who want to look slimmer. Dressing in black may also indicate isolation, loneliness or depression. In intimate clothing, black may signify a lack of confidence in the ability to relate to others, keeping feelings hidden and secretly wanting to be like others. 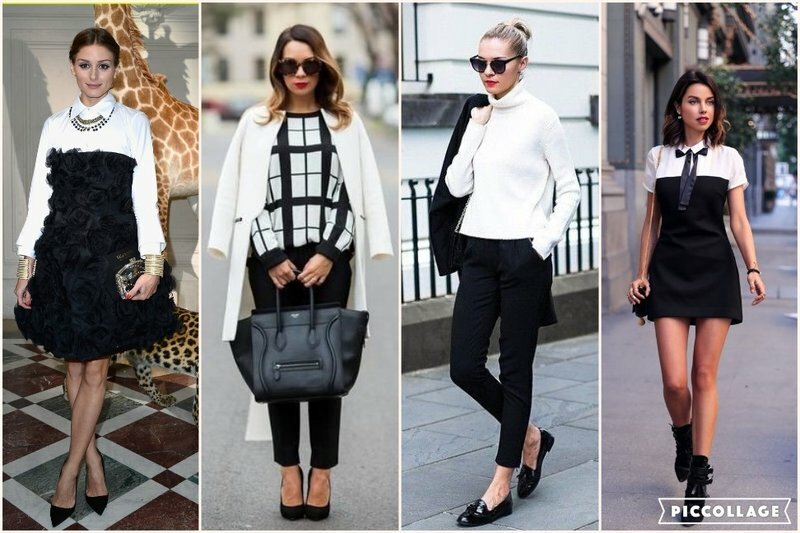 Both white and black are colours with which you can never go wrong and are a safe option to combine with other colours. Black became a symbol of elegance during the Renaissance, it also has slimming properties and it is perfect to be worn from morning till night. Last but not least, do always remember that not all colours are suitable for everybody, and that you need to take your skin and hair colour into consideration whenever choosing colours to wear. Nowadays the strict guidelines of the Circle of Itten have been widely bent and/or replaced by the artistic license of fashion designers, however, for what is worth, you will never see me match pastel colours with silver or gold , nor wear black with brown or dark blue but I am totally open to edgier colour combinations like red and fuchsia, yellow and purple, or orange and emerald green. What about you? What colour rules do you live by? 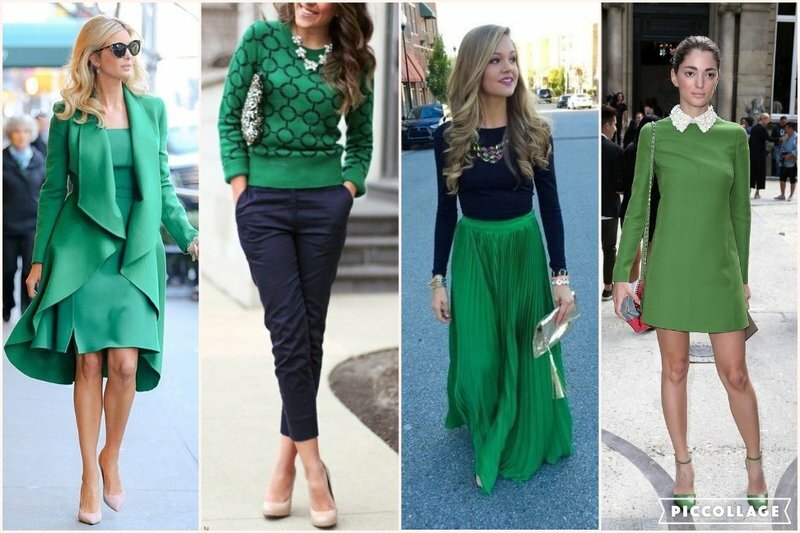 Do you know what is your colour palette and what colour best suit you?